This is a sampling of jury verdicts and settlements with GEICO in Maryland and around the country along with the story behind these settlements or verdicts. We compiled this list from a variety of sources, including our law firm's cases with GEICO. Keep in mind there is no scientific methodology to this sampling. These results are not necessarily reflective of the value of your claim against a GEICO insured. There are too many variables at play when looking at the value of a car accident case to fit in a summary of the case. How to get the most out of your claim against GEICO. Different question: how much money can I expect on GEICO's first settlement offer? If you have a claim against GEICO or a GEICO insured, get a free, no obligation case review by filling out this brief case review form today. Maryland 2019: $300,000 Settlement. Our client is a passenger in a friend’s car in Baltimore County. The driver hits a light pole trying to avoid an animal on the road. He is diagnosed at Northwest Hospital with a neck sprain, strain, and a wrist sprain. He is discharged with pain medicine. He gets a cervical steroid injection that provides only temporary relief. Ultimately, he has a discectomy and fusion and (eventually) had a great recovery. Connecticut 2018: $31,057 Verdict. GEICO's insured suffers left elbow contusion, resulting in numbness in his hand, and cervical, thoracic and lumbar strains when he is hit by an uninsured motorist as she is backing out of a parking space. GEICO disputes his injuries and claims he is partly at fault for the accident so the case goes to trial. Jury awards $31k in damages. Florida 2017: $300,000 Verdict. driver insured by GEICO is hit by an uninsured motorist and suffers numerous neck and back injuries which leave him unable to work for months. GEICO refuses to pay UIM benefits under his policy and the case ultimately goes to trial where a jury awards $300,000. New Jersey 2017: $100,000 Settlement. Plaintiff pedestrian is waiting to cross the street when she is injured in a hit and run where the driver is never identified. She suffers laterally displaced fractures of the left distal tibia and fibula. She brings an uninsured motorist claim against her insurer GEICO. GEICO eventually settles her claim for $100,000. New Jersey 2017: $40,000 Verdict. Plaintiff brings uninsured motorist claim against GEICO after suffering lumbar disc herniations with radiculopathy. GEICO disputes the extent of his damages and the case goes to trial where a jury awards $40,000. This is a lower verdict than you would expect in a typical lumbar disc herniation case that was severe enough where it was impinging on a nerve root. Maryland: $250,000 Settlement. Our client, a 45-year-old professional woman, is traveling on Route 97 in Anne Arundel County. She stopped in heavy traffic and is rear-ended. The police are not called to the scene because she did not initially believe she was seriously injured. She sustained $5300 in property damage to her vehicle. She has degeneration at C4-C5 that was injured in a prior accident (she had a prior neck fusion). Ultimately, she received nerve block injections. GEICO tendered their $100,000 insurance policy and she received $150,000 from her own insurance carrier on her underinsured motorist claim. Miller & Zois handled this claim. Maryland: $206,817 Verdict. A man with a longstanding history of lower back pain claims he suffered lumbar radiculopathy and aggravated lumbar stenosis and getting rear-ended in Prince George's County. He has lumbar decompression surgery at L3-4 and L4-5. The jury awards $206,000 but the verdict is reduced because the policy is capped at GEICO's uninsured motorist coverage with the plaintiff. Florida: $300,000 Verdict. An adult male is driving when a vehicle operated by an uninsured motorist collides with him. GEICO insures him, and his policy includes uninsured motorist benefits. But GEICO fails to give him his benefits under the policy. GEICO disputes the extent of the man's injuries and medical costs. A jury awards him $11,410 in past medical expenses, $28,590 for future medical expenses, and $260,000 for his pain and suffering. Michigan: $75,000 Settlement. An adult female is driving on the interstate when she is rear-ended causing a herniated disc. The woman argues that her insurance policy under GEICO provided her with personal protection insurance benefits, but GEICO fails to honor the policy and denies liability. The parties settle for $75,000. New Jersey: $255,000 Verdict. A minor male is riding in the back seat of a vehicle when the driver collides head-on with a median. As a result, the minor plaintiff suffers a left humerus fracture requiring surgery, back strains, and temporomandibular joint dysfunction. He sought to recover underinsured benefits under a GEICO policy, but GEICO denied his claim since he was not wearing a seatbelt. A jury finds that the man was 70% at fault since he failed to wear a seatbelt, but awarded him $250,000. A judge reduced the award to $51,500 based on the fault apportionments. Verdict in Maryland (Montgomery County) for $100,000: While driving south on 495, a 65-year-old executive assistant is approaching the American Legion Bridge. Another driver in a Jeep is also heading south. Suddenly, a wheel detaches from his vehicle, coming to rest in the lane. The woman’s car strikes the wheel, which leads to her car overturning and hitting the Jersey wall. She is transported to the ER via ambulance, where doctors tell her that she has a severed tendon in her left hand along with serious abrasions to the hand. She also has a fractured collarbone. After undergoing physical therapy for a few months, she sues the other driver and the shop whose work allegedly resulted in the wheel coming loose. She also sues GEICO, her underinsured carrier. GEICO eventually steps us and pays their full $50,000 policy to settle the case. We see this story a lot -- you often have to sue GEICO to get them to do the right thing for the victim and their own insured. The liability carrier, Allstate, decides to take the case to trial, probably because they had little to lose by trying. Verdict in South Carolina for $897,500: A 25-year-old military police officer is rear-ended by a car in a chain reaction crash. His car sustains minor damage, and he can drive himself to a local hospital. Doctors perform surgery on his shoulder after they discover a labrum tear. Unfortunately, his shoulder will never be able to heal 100%, and he must leave the military. The other driver’s insurance, GEICO, alleges that the injuries suffered by the plaintiff could not have been as severe as he makes them out to be. They claim that the collision was minor and the career-ending injuries were suffered elsewhere. This is the "you are a liar" defense. This is one of GEICO's favorites and it is a leitmotif in all of these stories. Obviously, the jury was not happy to see the serviceman being called a liar. To underscore their anger, they threw in a $530,000 punitive damage award. This is certainly not an available remedy for a Maryland victim in a similar case. Settlement for $200,000 in Maryland: An elderly man exited his car to cross the street. He was struck and killed by the Defendant. There was no good evidence as to where the man was hit and killed although he clearly was not in a crosswalk. This was our problem: there was no proof either way, and the Plaintiff bears the burden of proof. Defendant filed a motion to dismiss the case but agree to settle for $200,000 before the motion was heard. This is one of many settlements and verdicts Miller & Zois has had with GEICO over the years in Baltimore. Verdict for $306,101 in Maryland: An elderly man is driving on Route 4 in Dunkirk when he collides with another car. The impact is not severe. However, the man seeks medical treatment for shoulder pain immediately after the crash. He is diagnosed with a torn rotator cuff but was not a candidate for surgery given his age. As a result, he claims the injury is permanent, and it also prevents him and his wife from sleeping in the same bed. He sues the other driver and his underinsured motorist carrier, GEICO. Liability for the accident clearly falls on the other driver, so GEICO disputes the extent of his injuries. The jury awards a little over $6,000 in medicals and a further $300,000 in pain and suffering damages. Settlement in Maryland for $290,000. A 40-year-old woman suffers an L-5-disc injury after a double impact, chain reaction, rear-end accident. She has a negative MRI but has a discectomy that reveals nerve damage. The pre-suit offer was $70,000. Miller & Zois handled this case. Settlement in New Jersey for $95,000. A 46-year-old woman was involved in a broadside car crash as the result of the defendant running a red light. She suffered herniated disc injuries at L5-S1, C5-C6. She also had an annular tear, a very under appreciated injury for which there is no meaningful treatment. Plaintiff's neurosurgeon recommends surgery but, like many plaintiffs, this woman opted for less invasive treatment (therapy, manipulations under anesthesia, and epidural injections). The case was defended by GEICO's in-house counsel in Piscataway. Plaintiff's counsel told us that the defendant had a $100,000 GEICO policy and that there was significant property damage. Jury Settlement in New Jersey for $15,000. A 42-year-old man had a cervical disc herniation at C5-C6 with shooting pain. Plaintiff received physical therapy and injections for his injuries. The case was defended by GEICO's in-house counsel in Rutherford. Plaintiff's lawyer told us that GEICO vigorously disputed liability in the case which is why Plaintiff was willing to accept a relatively small settlement for his injuries. Jury Verdict in Florida of $400,000. A 24-year-old student is rear-ended, aggravating a herniated disc at L4-5 and bulging discs at C3-4 through C6-7. Plaintiff has physical therapy, injections, and had a discogram and discectomy. During a six-day trial, the Plaintiff's lawyer puts up three expert witnesses - pain management, neurosurgery, and orthopedics. GEICO also puts up two experts to argue that Plaintiff's neck and back conditions were pre-existing and that she only suffered minor sprains and strains (as well as unreasonable, excessive, and unrelated medical bills and the usual stuff you get from GEICO's medical experts). 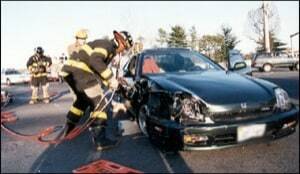 These experts bundle all of Plaintiff's problems at the doorstep of two prior car accidents. The jury obviously disagrees and awards Plaintiff $60,000 in past medical bills, $30,000 in future medical costs, $50,000 in past pain and suffering, and $260,000 in future pain and suffering. (The procedure of this case would be odd to a Maryland lawyer; her two uninsured motorist cases against GEICO were consolidated into one case. This is not an option for plaintiffs' lawyers in Maryland or most states). Jury Verdict in New Jersey of $100,000. A 35-year-old hospital security guard is rear-ended at a red light. Simple chain reaction: he is hit by the car behind him who was hit by a car behind her, a GEICO insured. Plaintiff waited two days to go to the emergency room in the hospital where he works. Three weeks later, he begins chiropractic care. An MRI eventually finds a cervical-disc bulge at C3-4 and a lumbar-disc bulge at L5-S1. An EMG confirms L5-S1 radiculopathy (the disc was hitting a nerve root). GEICO's lawyer argues at trial that the real problem was injuries sustained while the Plaintiff was serving his country in Afghanistan and Iraq. Less offensively, GEICO also argued that the case did not cross New Jersey's tort threshold. After a one-day trial, the jury strongly disagreed. Jury Verdict in Maryland for $340,000. Plaintiff suffered head (mild TBI) and disc injuries in a left turn accident case that was tried in Prince George's County. The offer at the pre-trial conference was zero. GEICO's policy was $250,000, but the uninsured motorist carrier agreed before the trial not to seek subrogation from GEICO's insured if the verdict exceeded the policy limits which, thankfully, is exactly what happened. Miller & Zois handled this case. Settlement in Maryland for $170,000. Plaintiff was driving on Route 97 in Carroll County when he approached a non-functional traffic light. Defendant did not realize the light was not working a ran through it. Defendants contended that Plaintiff was contributorily negligent for failing to proceed with care through a broken traffic light. Plaintiff suffered a broken left femur, broken ribs, various cuts and abrasions, and severely bruised feet. GEICO was the driver's insurance company, and they tendered their policy limits. The rest was recovered from the uninsured motorist carrier (Cincinnati Insurance). Our law firm handled this claim. Settlement in Maryland for $175,000. Our client was rear-ended on Route 4 in Calvert County. She went to Urgent Care that evening, complaining of jaw, left shoulder, left neck, and lower back pain. She ultimately had a cervical diskectomy and fusion in her neck at C5-C6. We had no choice but to file suit because GEICO just would not make an offer. Settlement in Washington for $55,000. Plaintiff was rear-ended by the defendant. Medical bills were approximately $20,000. Plaintiff had surgery for her rotator cuff injury. GEICO was the underinsured carrier. The underlying carrier tended its $25,000 limits. It is fair to assume that this award would have been higher - rotator cuffs injuries are generally worth more - but this case had a few weaknesses. The plaintiff's age, 74, the lack of property damage ($1,000), and causation issues likely decreased the settlement value of the case. Her lawyer told us that the plaintiff was a wonderful woman who did not want to get involved in protracted litigation which made her more amenable to an out-of-court settlement of her claim. Jury Verdict in Washington for $10,000. Plaintiff was rear-ended and suffered a C4-C5 herniated disc. Whether the disc injury was caused by the accident was at issue: Plaintiff had a prior herniation at C6-C7. Jury Verdict in Florida for $79,209. Plaintiff, a 21-year-old woman, suffered L4-L5 and L5-S1 disc herniations after a car wreck in which the defendant ran a red light. In spite of the injuries, the woman missed one day of her job as a restaurant hostess. We have won millions of dollars in settlements and verdicts against GEICO. Learn more about dealing with GEICO in car, truck, and motorcycle accidents here and check out some of our verdicts and settlements here. Jury Verdict in Texas for $55,000. A 21-year-old woman was rear-ended by the Defendant in Dallas while waiting to make a left-hand turn. Plaintiff had classic soft tissue neck and back injuries and went to a chiropractor four times. The award included $30,000 in past pain and suffering and $5,000 in future expected pain and suffering. Likely, GEICO's mistake was denying liability in a rear end accident case, a tactic that often backfires with a jury. The Plaintiff's lawyer in the case did something gutsy and smart: he did not ask the jury for lost wages and medical bills. Why? Because he feared the low amount of bills and wages would serve as an anchor to pull down the verdict. Plaintiff's lawyer also said that GEICO made the mistake that it often makes: attacking the plaintiff, a nice hard working woman who was putting herself through college reaching towards her lifelong dream of being a physical therapist. Another interesting fact: the Plaintiff's lawyer asked for $150,000. The jury verdict was 10-2; the two holdouts wanted to award the $150,000. Jury Verdict in Georgia for $124,000. A 60-year-old woman was hit by an unidentified driver who swerved into her lane. Her car flipped several times. She had a head injury and fractured two ribs and was hospitalized for four days. The driver fled the scene and was never identified. Plaintiff's uninsured motorist carrier, GEICO, defended this case in the name of John Doe. The Plaintiff's lawyer told us that his client's medical bills were approximately $39,000. GEICO did what GEICO does. They lowballed the Plaintiff with a $70,000 offer before suit. Finally, two weeks before trial, it offered the $100,000. Plaintiff and her lawyer bravely refused, keeping alive a potential faith claim against GEICO for not tending the policy sooner. In Georiga, if Plaintiff can prove bad faith, she can get a 25% penalty on the policy limits as well as attorney fees. 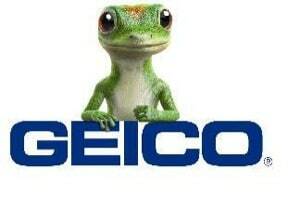 GEICO has now hired outside counsel to defend the bad faith case. Jury Verdict in Kentucky for $3,931,448. A 51-year-old funeral home operator is riding her bike on a narrow bridge when she stops for a man fishing on the bridge. As he passes her on a two-way street, Plaintiff’s foot slips from the bike pedal to the road surface. Defendant strikes the bike, and his side view mirror strikes the Plaintiff in the head. Plaintiff suffers serious injuries, including a subdural hematoma and other hemorrhages of her brain, as well as a broken collarbone, bilateral wrist fractures, multiple fractures to her hands and fingers, and significant lacerations to her face. Plaintiff is hospitalized for three weeks with another two weeks of inpatient rehabilitation. Plaintiff undergoes several surgeries during this time, and due to significant cognitive deficits, has to relearn essential daily functions. GEICO, representing the Driver Defendant, smartly tenders its $20,000 policy limits. Plaintiff files suit against her UIM carrier, Motorist Mutual. Plaintiff’s insurance policy is issued through a funeral home policy and offers a million dollars in coverage for each of the 17 funeral home vehicles, as well as an umbrella policy of two million. Defendants argue that plaintiff’s psychological limitations are related to two post-crash events, and her physical limitations are due to a worsening of pre-existing rheumatoid arthritis. Plaintiff is awarded $3,931,448 which is reduced by 50% for comparative fault. Settlement in Maryland for $300,000. A man was stopped at a red light in Montgomery County and was rear-ended at a high rate of speed. He was flown to Prince George's Hospital Center but he did not survive. This wrongful death settlement was for the policy limits. An exhaustive search for assets of the defendant revealed that he had no meaningful assets and only a $15,000 Pennsylvania insurance policy. GEICO paid the remaining $285,000 in uninsured motorist benefits. Our law firm handled this case. If you have been injured in a motor vehicle accident in Maryland and the at-fault driver is insured by GEICO, or if you are filing an uninsured motorist claim against GEICO and you have a question about your claim, call us at 800-553-8082 or get a free claim evaluation. How much money should you expect for your case? You should not handle your own personal injury claim, at least in most cases. But if you won't listen to this advice, here are some tips.